#GuysDashingJet owned by Cathy Geary by #FrenchmansGuy is the All American Quarter Horse Congress Jr. Barrel Racing Champion! I'm in a bit of shock...another congress bronze! 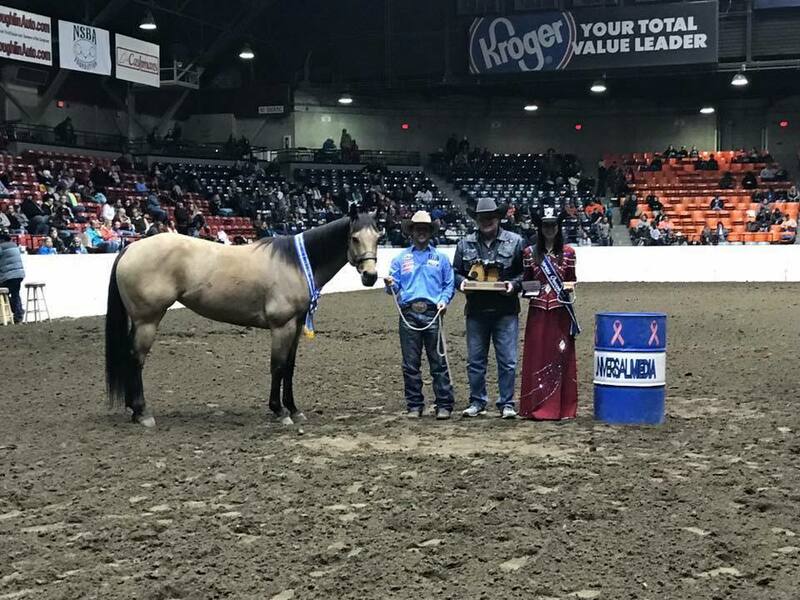 #GuysDashingJet owned by Cathy Geary by #FrenchmansGuy is the All American Quarter Horse Congress Jr. Barrel Racing Champion! She won it by over 2 tenths! (I was told but not confirmed it's the fastest jr time in history of the congress and first time for someone to win sr and jr in same year) She has also qualified for the 2018 AQHA World Show in one run! I want to thank my entire team who helps make this all possible for me! Couldn't do it without you! And a special thanks to Don Young for all his generosity and sponsorship to the congress! The awards are simply amazing! Thank you!